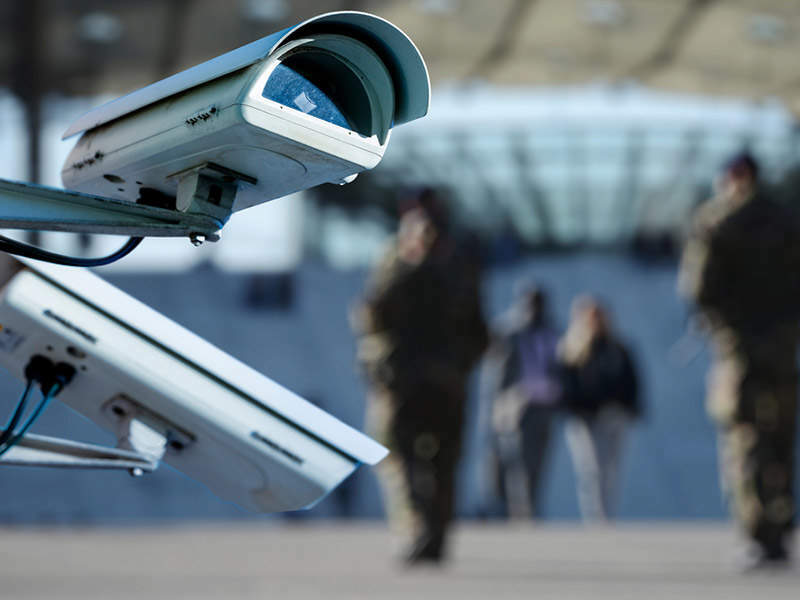 HESCO® earth-filled MIL® units have been used around the world to provide border security; critical infrastructure protection such embassy security in hostile environments, and the means to safeguard employees working in remote locations. The innovative basket design has been used to protect against hostile attacks; blast and ballistics; vehicle impact; flooding, and coastal erosion around the world since 1991. 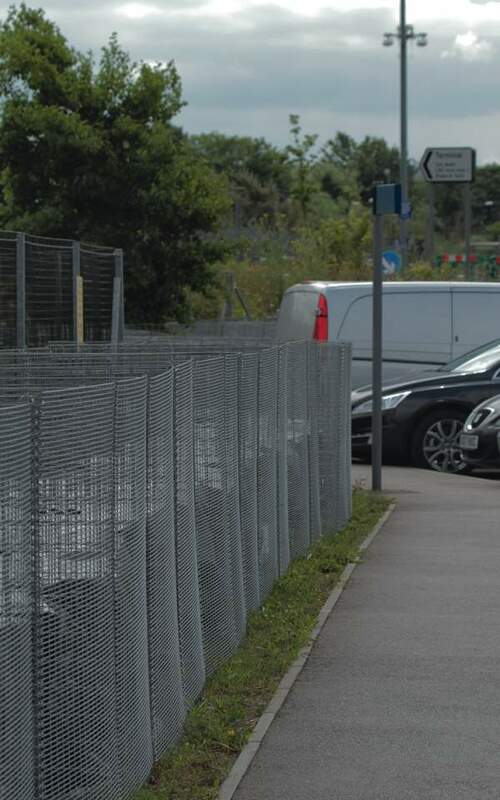 The HESCO wall is a rapidly deployed barrier that can provide anti-climb perimeter protection, security access control points, vehicle barriers and crowd control. 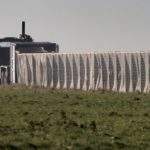 HESCO protective barriers have been designed to leave minimal effect on surrounding landscapes; rapidly installed and without the need for groundwork or foundations enable end-users to deploy a semi-permanent security solution. 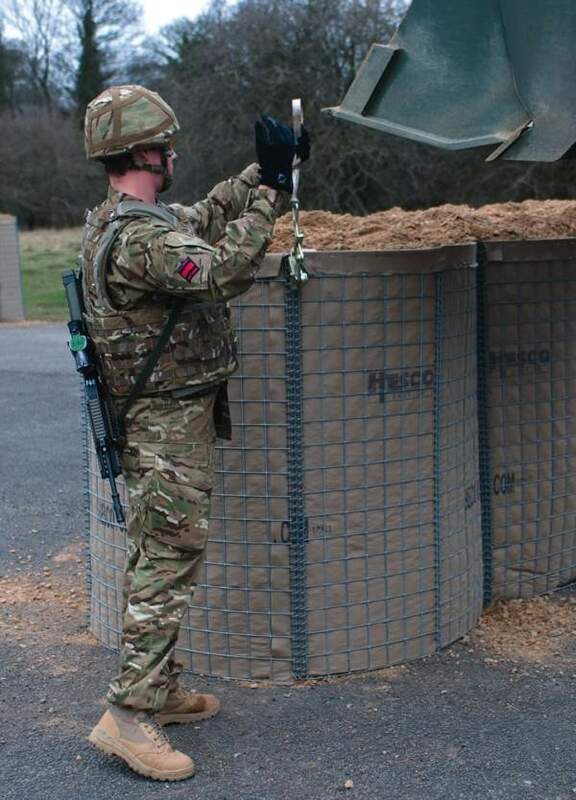 The HESCO Rapid In-theatre Deployment system (RAIDTM) permits the unloading of pre-connected lengths of MIL units directly from a specially modified ISO shipping container, deploying over 1,000ft of MIL 7 in under 60 seconds. 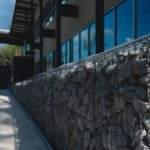 Designed for urban landscapes and architecture; HESCO Rockface is a protective barrier which comprises the original MIL unit with an added fascia, transforming the highly effective wall into an aesthetically pleasing structure ideal for customer-facing perimeter security where a more benign appearance is required. The unique combination of a geotextile-lined rear section with the unlined front fascia allows the use of a variety of fill material. 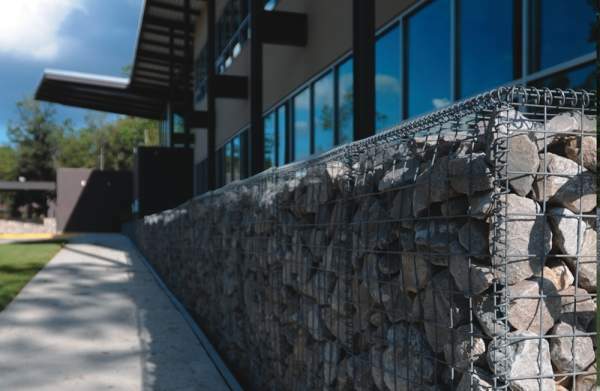 Architectural materials, such as stones or rocks, can be used in the front section to conceal the defensive qualities of a structure, while integrating successfully with the built environment. 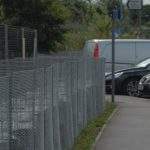 HESCO Redeployable Security Fence (HRSF) can be built on undulating or sloping ground and requires no digging, ground preparation or foundations. HRSF is anti-climb, can withstand light vehicle attack and can be rapidly deployed to protect and secure critical infrastructure. Units can be dismantled and redeployed with limited effort and without any loss of material during re-use or the need of specialis equipment and training. The fascia is also ideal for screening areas away from the public eye, utilising the space for marketing, directional signage or warning notices. 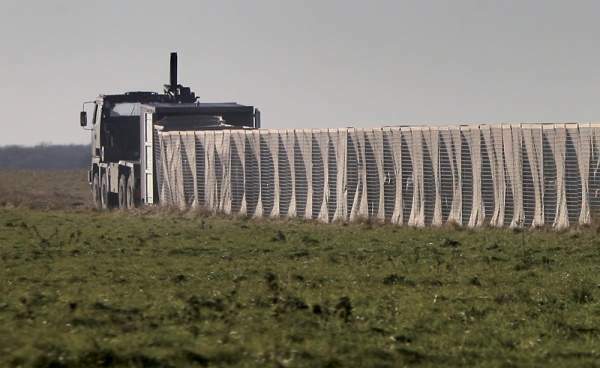 The unique design, strength and versatility of the HESCO perimeter barrier range allow corners to be constructed easily; shaping the defensive barrier to the surrounding landscape. Units can be extended and joined together to provide effective and economical structures tailored to the specific threat and level of protection required. HRSF will withstand a vehicle attack; is PAS-68 rated, and the MIL units have been demonstrated in the military field to withstand indirect fire providing expeditionary workforces with the protective measures required in hostile operational zones. Based on the renowned HESCO Concertainer™ concept, HESCO flood barriers are ideal for emergency response during seasonal flooding, tropical storms and hurricanes. 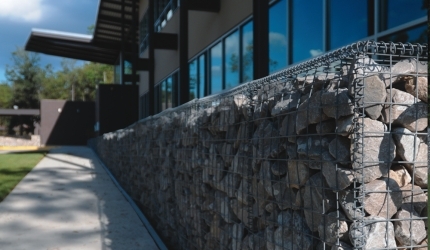 The flood walls can be deployed quickly and easily, without the need for specialized tradesmen or equipment. 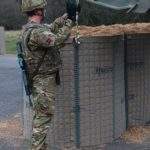 HESCO flood walls have significant advantages over traditional sandbags such as ease of storage; improved speed of deployment and increased structural integrity. With product strategically placed throughout the globe, as soon as warnings are issued, HESCO flood barriers can be deployed to protect critical infrastructure, businesses and homes immediately. HESCO storm and flood barriers have been instrumental in the protection of countless lives and millions of dollars worth of assets throughout the United States since 2004. In Louisiana more than seven miles of HESCO flood wall was installed on the west side of the Mississippi River in the City of Vidalia, in less than 100 hours. This mammoth project consisted of walls up to 12ft in height and saved in excess of $90m dollars worth of property and infrastructure. The US Customs and Border Protection (CBP) agency has announced its intention to equip its officers with HESCO's hard armour plates to provide vital protection during operations. HESCO's hard armour plates have been chosen by US Customs and Border Protection (CBP) to equip and protect their officers. Hesco is a leading designer and manufacturer of American-made, thinner, lighter and concealable ballistic-resistant body armour and will be launching its next-stage armour evolution at this year's SHOT Show, Las Vegas. HESCO® products have been protecting the brave servicemen and women of the United States military for more than 20 years, and now, Hesco brings that protection to the heroes of law enforcement after Hesco Bastion, Inc. completed the purchase of a controlling interest in Reed Composite Solutions (RCS), a specialist manufacturer of ballistic resistant body armour. HESCO Bastion, based in Charleston, South Carolina, US have been awarded the US Army Core of Engineers, indefinite delivery / indefinite quantity (IDIQ), contract for the supply of HESCO® Flood Lined units for the National Flood Fight Centre, Rock Island, Illinois, US.